Milan (NEV), February 2, 2019 – “The gap between rich and poor widens. 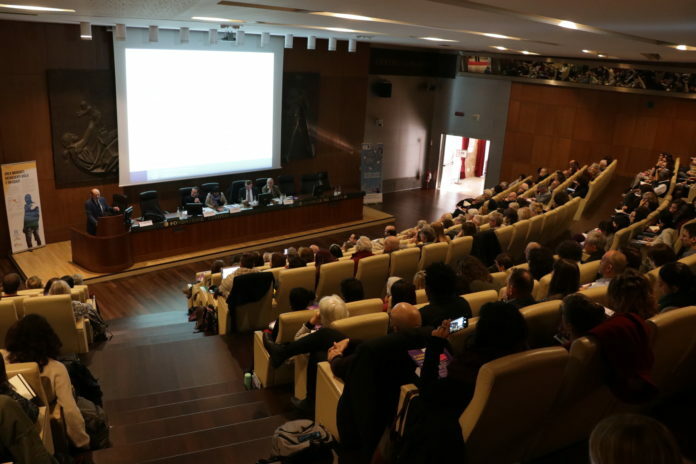 Europe, forgetting its origins and its vocation to plurality and reception, tries to transform the Mediterranean Sea into a border between those poor and those rich” – this is one of the messages that emerged from the conference “S-confinate libertà” (Boundless Fredom) held in Milan on January 24.in Milan. The conference opened with the greeting of the President of the Waldensian Diaconate (CSD), Giovanni Comba: “A migration policy that does not open new, safe and legal routes of access to Europe is fatally doomed to encourage irregular migration. This is why we are asking Europe to expand the humanitarian corridors opened for the first time in Italy at the beginning of 2016. We share, as CSD, the concern of many about the recent provisions of the law on security, which in addition to creating greater irregularity, questions the rights expressed by the Article 10 of the Italian Constitution… We will continue with determination to propose projects and actions in favour of the last ones paying attention to their stories, their hopes and their dreams”. “Europe stuck in front of 47 migrants on the Sea Watch is the emblem of a failure – said the moderator of the Waldensian Board, pastor Eugenio Bernardini -. No one is innocent on this subject. Slogans and superficiality are not the solution, but there are different degrees of responsibility. To say ‘Italians first’ means saying ‘only Italians’. “The last one first” is our mandate, the order Jesus gave us”. The Waldensian theologian Daniele Garrone, also member of the Council of the Federation of Protestant Churches in Italy (FCEI), wonders whether we will we remain human: “The idea of ​​a democratic Europe was the answer to a century that brought millions of deaths and two World wars. Ignorance, complicity and silliness have led to racial laws. What lesson comes from history? What will the planet be in 50 years? Will we be a province of China? A province of Russia? Will the millions of migrants become billions due to global warming and dictatorships? The European West will save its soul only if it remembers the inalienable rights of people”. Among the topics of the conference, the asylum policies. “The asylum policies can not be separated from the amendment of the Dublin regulation, from the search and rescue activities at sea, from the opening of legal and safe ways”, stated the European parliamentary Elly Schlein and continued – “There is already another Europe: that of volunteers and operators who follow the binding principles of solidarity and brotherhood”. Many meaningful data emerged during the day, including those brought by professor and sociologist Maurizio Ambrosini: “There is a view of the migratory reality which causes anxiety and forgets, among other things, that the real place where migrants are hiding are the homes of the Italians where domestic workers support an invisible parallel welfare system”. In the polls Italians overestimate the number of migrants and asylum seekers: the perception is 26%, the reality is 9%. “Souverainism won first in the minds than in the polls” commented Ambrosini. Three are the words proposed by the prefect Renato Saccone: “This is not an emergency, if we chase the events we will always be late. We need respect without prejudices and a deeper elaboration that takes into account complexity. The problem is not to open or to close borders, but how to govern them”. “We should learn from history and be sentinels of the present”, said Gad Lerner. “We need linguistic and cultural resistance to overcome the climate of scorn that scientifically aims at humiliation and degradation of people”. The conference was also attended , among others, by Luca Di Sciullo of the IDOS Centre for Studies and Research , and by Maria Silvia Olivieri, of the Central Service SPRAR (Assistance Service for asylum seekers).